New Player Bonus: Deposit NOW and get up to $100 Cashback! * But that's not all. - Earn free hotel stays, Comp Dollars, and MORE when you play for real money online. Then redeem them at Tropicana Atlantic City. 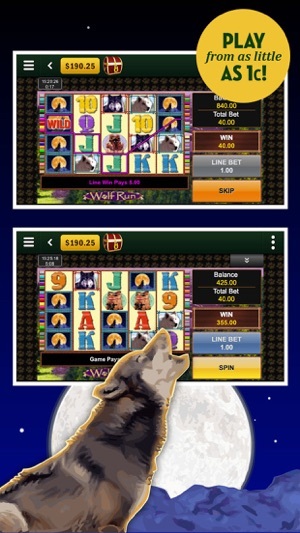 - Play your favorite slots and table games: Cleopatra, Wolf Run, Jackpot Party, Cats, Blackjack, and so much MORE. 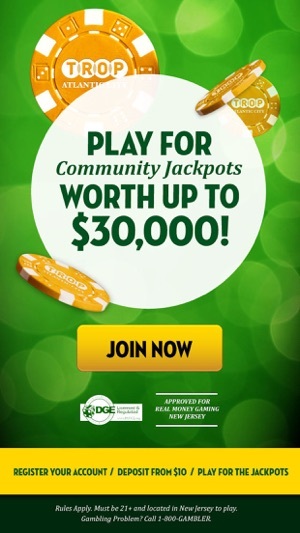 - Progressive slots with chances to win Real Money Mega Jackpots. -Start wagering from as little as $0.01 cent. - Register, deposit, play, and withdraw all inside the app quickly and easily. - Try the games FREE in demo mode. - Earn Tier Points on your Trop Advantage card automatically. - 100% legal and regulated by the New Jersey Division of Gaming Enforcement. Take the excitement of Tropicana Atlantic City with you wherever you go! Earn comps for your next visit to our resort on the world famous Atlantic City Boardwalk when you play for real money online with this app. 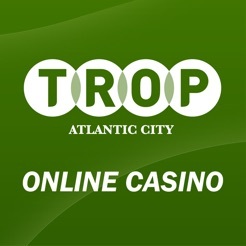 Play online with Tropicana Casino and enjoy benefits online and in Atlantic City. Download the app NOW and start playing! Want to make a withdraw? Want to deposit real money? 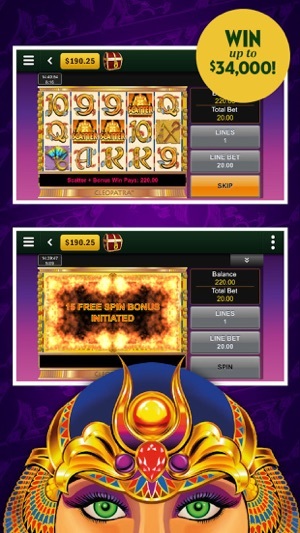 Deposit online using a bank account, credit card, and more from within this app, or visit our casino cage at Tropicana Atlantic City to deposit cash, chips, or slot ticket balances. Our live support team is standing by to help. Talk with our friendly customer support team by calling our toll-free number at 844-737-7615. *New customers only. AppCash withdrawable (subject to minimum $10 withdrawal). Registration required. Rules apply. You must be 21 years of age or older and located in the state of New Jersey to play. Terms and conditions apply. This site is authorized by the New Jersey Division of Gaming Enforcement. Gambling problem? Call 1-800-GAMBLER. Apple Inc. does not endorse, sponsor, administer or otherwise approve our promotions and competitions and we are in no way affiliated with Apple Inc.
* Bringing you the latest improvements and updates to your gaming experience. Thank you for playing with us! Like the Tropicana.AC app? We’d really appreciate if you rated it. It only takes a few seconds – promise. Thanks for your support! Great app and from home too? Come on! 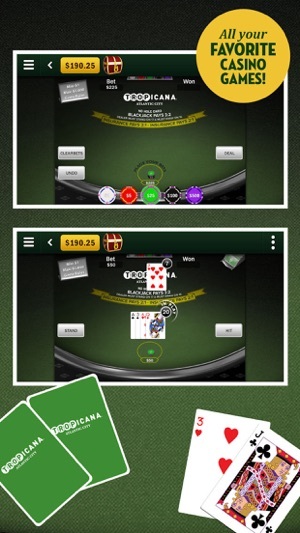 A lot of you complaining about this app...Do you think they build those big casino’s on losing? No. Use your head and when you’re up a little stop playing. You’re not going to become a millionaire on here. I read a review that it “lets you win a lot on the small bets and build your confidence and then when you make that big bet the house gets blackjack”. Well QUIT when you are up those little those little bets! I mean isn’t $14 a lot of money for someone to just hand you? It is to me and for that I love this app! Bet with your head or you will lose. 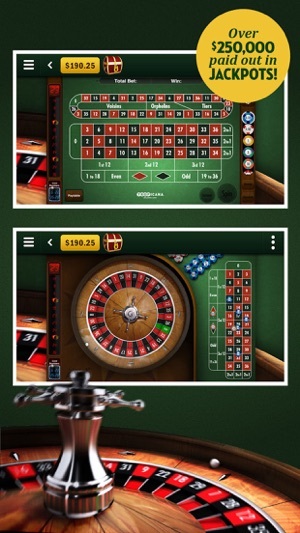 Not just on this app but ANY gambling site, casino, gambling of any kind. I’ve yet to have a problem with this app and highly recommend it after trying many of them. I’m not trying to get rich. I’ll take a free lunch, tank of gas, ect. Thank you Trop! Great customer service also!! Terrible time trying to withdraw funds. I have been trying to withdraw funds for about 6 months. My wallet got stolen and I cancelled a card that I used on the app about 2-3 years ago. Well they didn’t care that I verified other cards sent a copy of my ID to them no that was my not good enough. I was finally told that if I went in person with my ID I could get my funds however that was false, drove 45 mins, paid 10 dollars to park and was told they could not withdraw my funds. 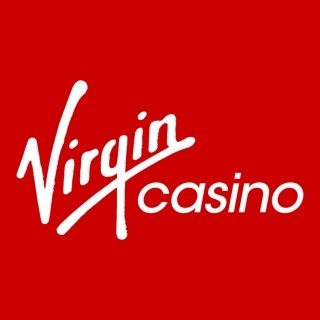 Please DO NOT USE THIS APP TO GAMBLE YOU WILL GET AGGRAVATED. Unless you have children you don’t like they may take your first born in order to withdraw funds.